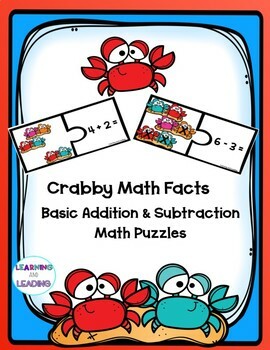 This basic addition and subtraction puzzle is perfect for centers or small group instruction. 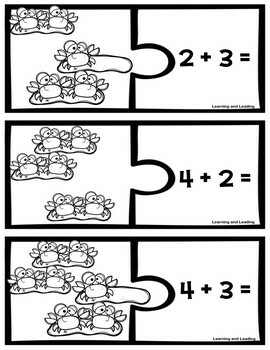 It consists of 6 addition facts and 6 subtraction facts. The puzzle pieces are both in color and in black and white for you to print in colored paper. One side of the puzzle has colorful crab clipart. 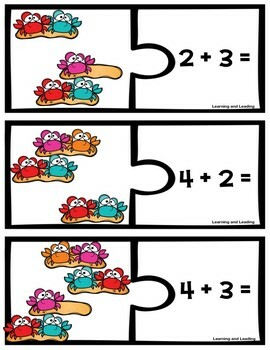 These images can be used as counters to help students solve the addition or subtraction number sentences that make up the next piece of the puzzle. 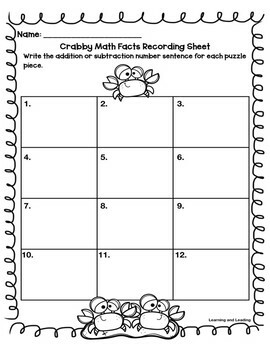 Lastly, there is a recording sheet for students to record the number sentence for each puzzle piece.